This book explores Hui (one of the Muslim minority groups in China) students’ lived experiences in an elementary school in central P. R. China from the perspectives of philosophical foundations of education and the sociology of education, the impact of their experiences on their identity construction, and what schooling means to Hui students. The book describes a vivid picture of how the Hui construct their own identities in the public school setting, and how the state curricula, teachers, and parents play roles in student identity construction. 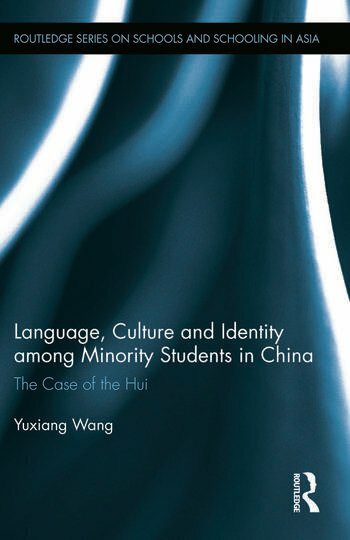 The objectives of the book are to discover factors that impact Hui students’ identity construction and have caused Hui students to know little about their own culture and language; and to explore what should be done to help teachers, administrators, and policy makers appreciate minority culture and include minority culture and knowledge in school curriculum in order to meet the needs of Hui students. The book provides historical, policy, and curricular contexts for readers to understand Hui students’ experiences in central China, and discusses the cultural differences between Han and Hui from a philosophical level. The book uses postcolonial theory to critique the assimilative nature of school education, the construction of Hui students’ identity from Han ideology, and the cultural hegemony of the mainstream Han group. It also discusses curriculum reconceptualization both in China and globally, and the possibility of multicultural education in China. 1. Introduction 2. Historical Context and the Hui in China 3. Minority Policy and Practice in China 4. Curricular Context 5. Theoretical Perspectives 6. Community, School, and Home 7. Teacher’s Perspective: "I Treat Them as Han Students" 8. Students’ Perspective: "We are the Same" 9. Parents’ Perspective: "We Want Them to Study the Required Curriculum as Han Students Do" 10. Conclusion: Where Shall We Go from Here? Yuxiang Wang received his Ph. D. from the Department of Curriculum and Instruction at Purdue University, Indiana, USA, in 2010. Prior to coming to the U.S., he was Associate Professor at Anhui University in China, where he conducted research and published articles in the area of language and culture. His research interests are in multicultural education, teacher education, and narrative inquiry with a focus on issues of race, gender, cultural identity, minority language and culture, and social justice. He has published articles in Intercultural Education (2010), Journal of International Society for Teacher Education (2010), Multicultural Education (2009), International Journal of Multicultural Education (2009), Frontiers: The Interdisciplinary Journal of Study Abroad (2009), and The Journal of Educational Foundations (2007). He co-edited a Routledge book titled "Minority students in East Asia: Government policies, school practices and teacher responses" (2011).